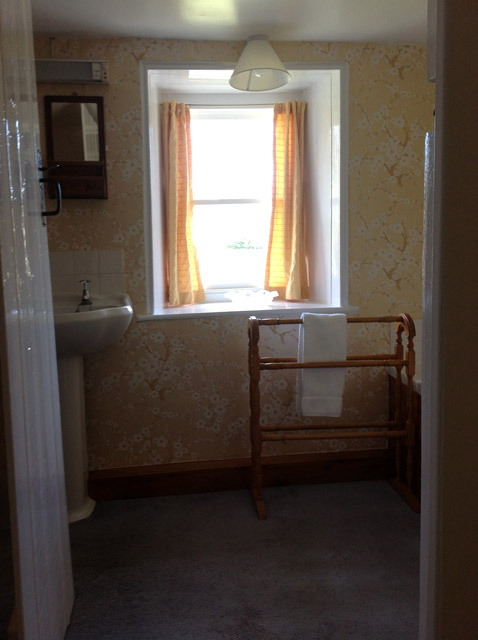 Self catering holiday cottage in Hardraw, North Yorkshire: Cissy's Cottage. 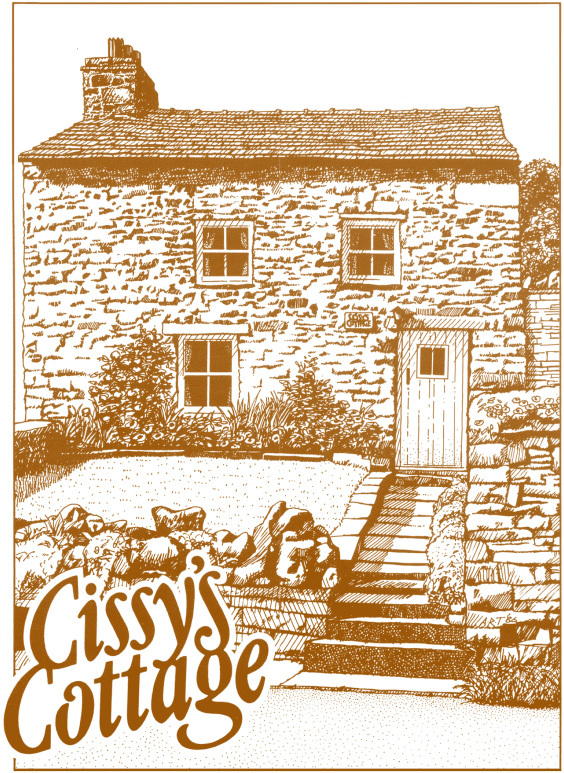 B uilt in the 1700's Cissy's Cottage is a delightful little stone built cottage of quiet outstanding character that never fails to embrace you as you walk through the door. 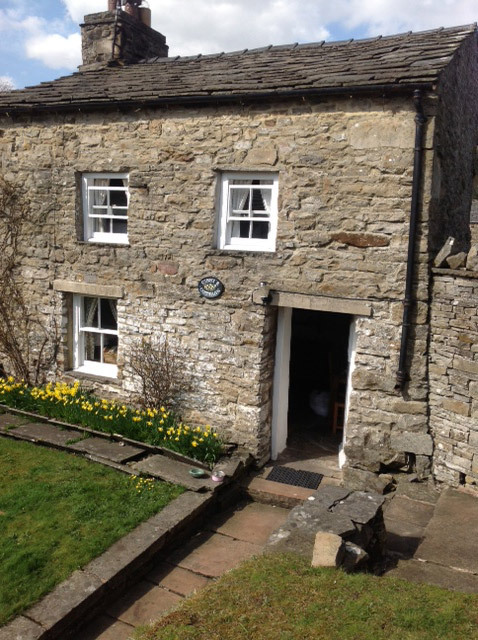 A traditional dales cottage that still retains the best of its original 18th century features. With its open fire and beamed ceilings, a warm and cosy atmosphere welcomes you. Originally built as a shepherds cottage, its' charm is quiet unique. In the main downstairs room with its flagged floors you'll find the open fire, that together with the storage heaters provide the warmth that is held in by the thick cottage walls and low ceilings. In this room is a sitting area with comfortable sofas, kick off your boots and relax. Beneath the side window is your dining table, eat your breakfast as you look out across the pasture and up the hill side, planning your days walk. From the sitting room you will find a quiet unusual semi-circular kitchen which was added onto the cottage at some point. The flag floor continues into the kitchen and stone has also been used to make the crescent shaped shelves and worktops to fit the curving walls of the kitchen. Washing up in the Belfast sink, if you choose not to use the dishwasher, isn't such a task as you look out of the window for another view of the fell. There is also a drier just in case you get caught in one of those dales showers! Upstairs in the two bedrooms you can see the beauty of the old pine walls and sit in the deep window sills, watching the world go by. Any tall people visiting will soon realise that the ceiling height upstairs is just a little over 6 feet. 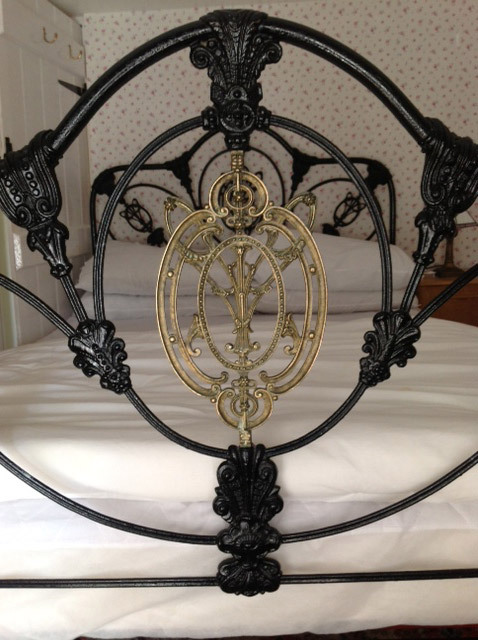 The double room has an iron and brass bedstead, while the other room sleeps two in single beds. There is also a travel cot if one is needed. 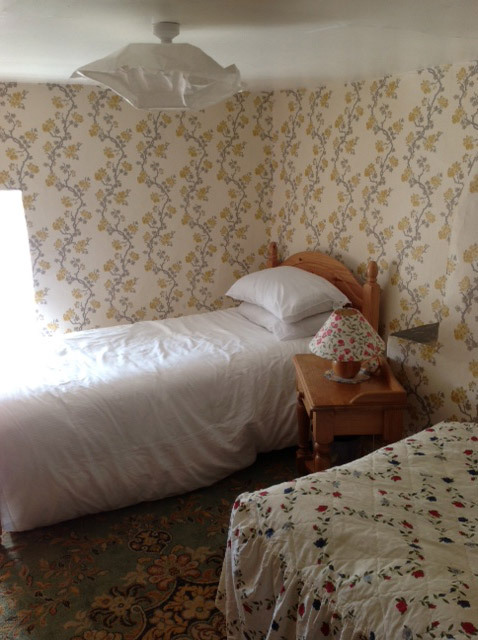 All linen is provided except for the cot, with extra blankets in the wardrobe in case they are needed. 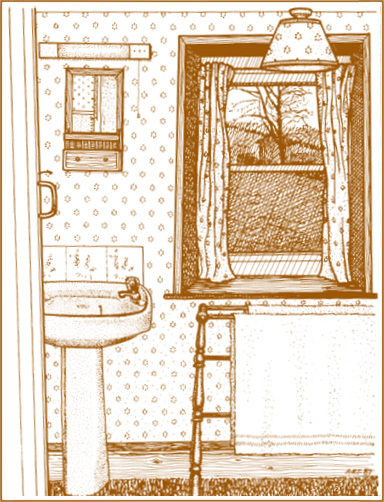 The country style bathroom is clean and simple with plenty of hot water for a relaxing bath after a day's walking or sightseeing. Outside there is a small garden at the front, raised up from the road, with a sun trap sitting area to grab the last of the evening sun. To the side of the garden is the coal shed with its grass covered roof, (please don't climb on this, a cow once did and had to be let out through the door a little shocked!) 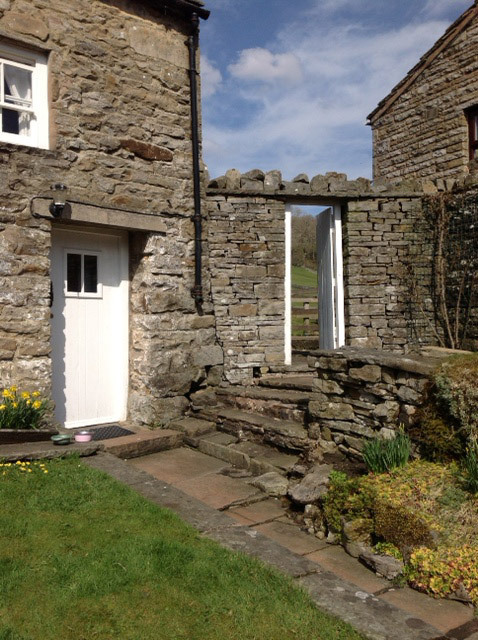 A door in the wall will lead you through to the long back garden/paddock and the base of the hills. For the fishermen amongst us there is also the chance to spend an hour or two trying to catch the elusive monster of the River Ure! as the cottage comes with the right to fly fish on several of the local waters, please ask for a permit. Whether it's walking straight from the cottage door through the fields, along the rivers or up the hill and onto the moors with just the grouse and sheep, or exploring the dale, looking at the spectacular scenery, stopping off at various tea rooms on the way, Cissy's Cottage is an ideal place to relax and unwind, take in the slower life of the dales. 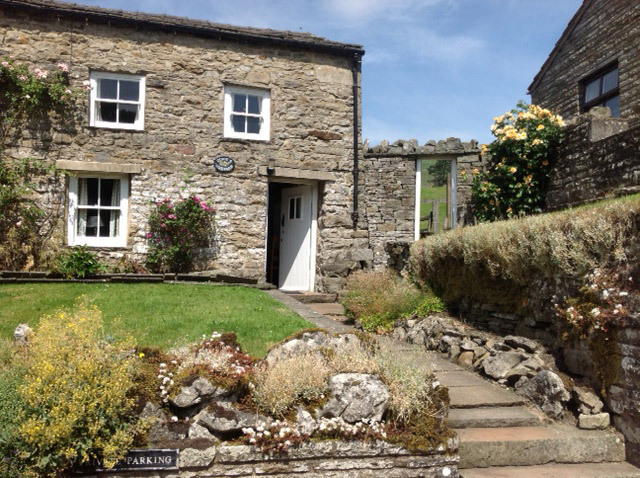 Visit North Yorkshire and enjoy a holiday in beautiful Wensleydale, a lush green valley with a patchwork of fields and isolated barns which are bounded by grey stone. The River Ure which rises above Hawes at the head of the dale is fed by many streams and becks as it pursues its course through the dale, whilst winding roads on either side of the river link together a chain of unspoilt villages, affording breathtaking views as well as access to the heather moors and neighbouring dales. Hardraw is a small village nestling under Shunner Fell on the sunny side of the dale about one mile from the market town of Hawes,. The village is split by the small river of Fossdale Gill, which after plunging over the limestone scar, creating the famous Hardraw Force (England's highest single drop waterfall) it passes through a natural amphitheatre, that is still used for music contests. With just field and fells all around, it is the perfect place to unwind. 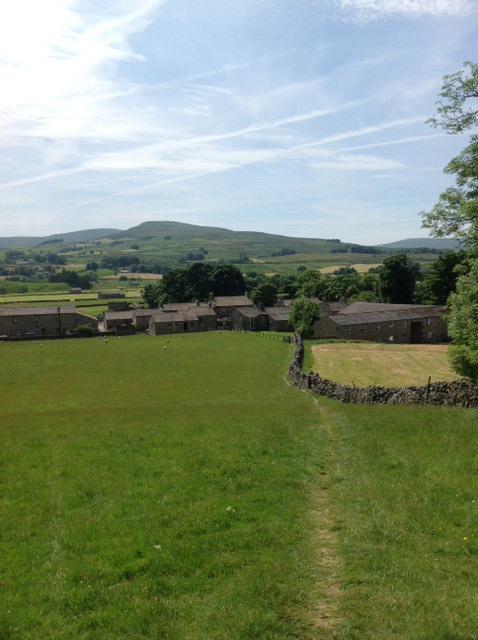 As you drive through the beautiful scenery of the dale you pass through many peaceful little towns and villages. 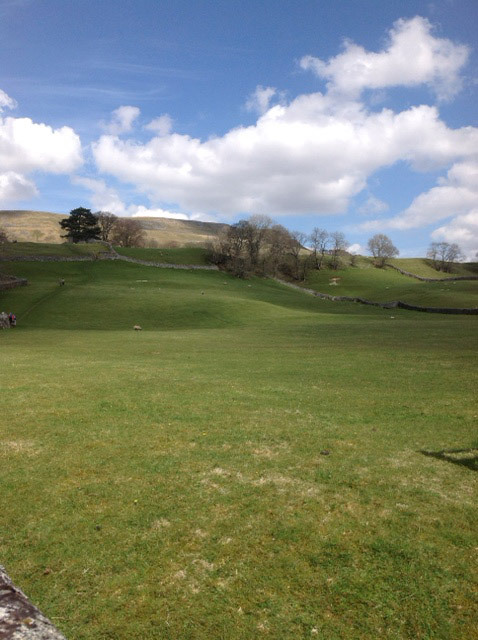 Hawes is the market town of the upper dale and the home of the celebrated Wensleydale cheese. Other places of topical or historic interest include Askrigg, the 'Darrowby' of the James Herriot films, Castle Bolton in which Mary Queen of Scots was once imprisoned, Middleham Castle, a stronghold of Richard III, as well as many towers, abbeys and historic country houses, most of which are open to visitors during the season. A remote and beautiful land which has preserved its age-old traditions, North Yorkshire offers a peaceful way of life whose rhythm is dictated by natural elements, the weather and above all the hills - a wonderful and stimulating place for a relaxing holiday. Bookings from Easter to the end of October are from Saturday to Saturday, arriving from 3pm and departing by 10am. Winter breaks by arrangement. A provisional booking may be made by phone but I must receive the deposit within 7 days or the provisional booking will be cancelled. I ask for half rent or £100 as a deposit, whichever is the least. The remainder is payable one month prior to the holiday. Cheques should be made payable to Mrs H.B. Metcalfe. 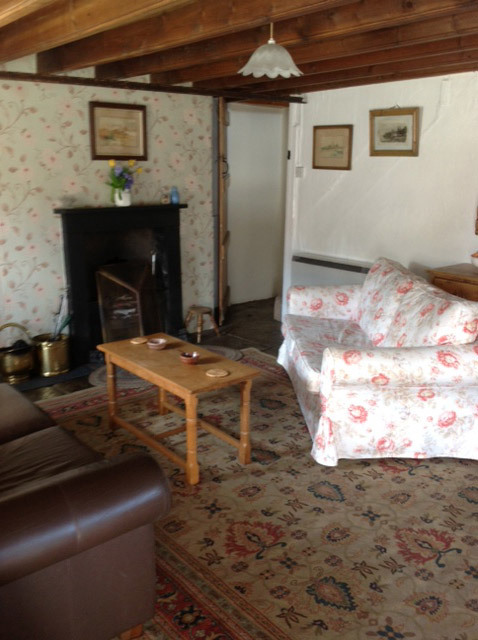 The cottage is furnished to accommodate 4 people and a baby (in cot). Under no circumstances should this number be exceeded. In the event of cancellation every effort will be made to re-let the property. If successful, your deposit will be returned. If not, you are responsible for the full payment. I can accept no liability for injury sustained by any visitor to the property; nor for loss of or damage to any vehicle or effects brought onto the property by visitors. If you have a problem with the cottage, report it to me during your stay. Please do not wait until you return home. 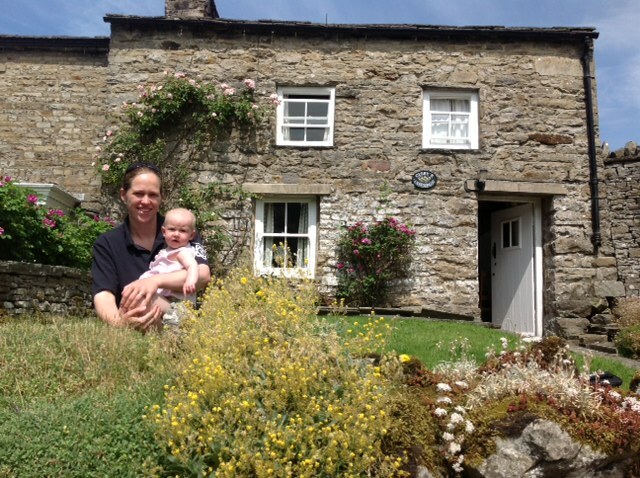 "We have enjoyed living in Cissy's Cottage - it was very warm and cosy!" "We liked the 'little house' very much. It provided a welcome base for pleasant walks and glorious sightseeing - even in the mist!" "Each time we come here it gets harder to leave - hope to see you again next year."